If you’ve got to work hard, why not do it in the lap of luxury? The ethos of fancy corporate suites is hitting the world of pickup trucks in a big way as manufacturers explore the upper limits of pricing and equipping their luxury pickups this year. It’s a strange combination — mixing the muddy, gritty, Paul Bunyan toughness of a heavy-duty truck with the highbrow sophistication of leather, wood and every imaginable gadget — but I don’t blame people for wanting it. And one of the nicest ways to work hard is in this truck, the GMC Sierra HD Denali. 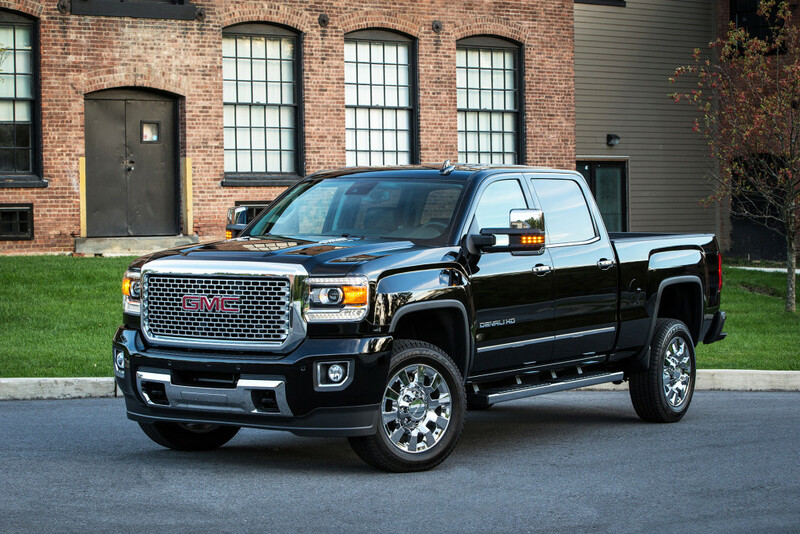 The GMC Sierra HD Denali is a good-looking, luxurious pickup that can do heavy-duty jobs. A new digital power steering system can change the response based on current speeds and conditions. With an available 6.6-liter Duramax diesel and Allison six-speed transmission, it’s based on the same heavy-duty GMC platform that can tow up to 23,200 pounds. While the ordinary Sierra 2500 sets a high standard for refinement — including the quietest ride I’ve ever experienced in a three-quarter-ton truck — the Denali trim takes that to an insane level. It’s so silent, supple and comfortable that you could almost mistake it for a Cadillac. It does a great job hiding the fact that it can tow a few African elephants. New for 2016, an available digital power-steering system makes this big truck even easier to handle. It adjusts the amount of power assist depending on the conditions, so you’ll get easier steering in parking lots, for example, without making the steering too sensitive at highway speeds. It also makes changes to the steering boost based on the loads you’re carrying or trailer you’re pulling. I thought it was a subtle difference compared to last year’s truck, but GMC claims it can reduce steering effort by up to 20 percent at low speeds. 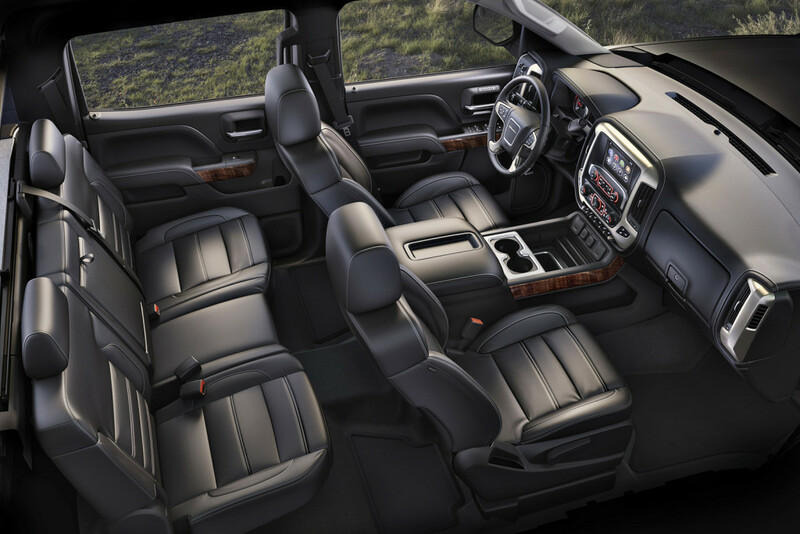 The Sierra HD Denali’s cabin exudes a sense of craftsmanship that’s rare even among the high-priced luxury pickups it competes with. And if you think of work trucks as being bare-bones, stripped-down vehicles, you won’t believe all the electronics in the Denali. It does a great job integrating high-tech features in useful ways. I’m a particularly big fan of the customizable 8-inch driver display behind the steering wheel. You can adjust the vehicle’s settings and see audio and navigation information right in front of you. Other standard luxuries on the Denali truck include HID headlamps with GMC’s handsome signature LED lighting, a new remote locking tailgate, a Bose sound system, wireless phone charging, heated and ventilated front seats and some of the nicest leather and wood trim you can find in any truck. Designers did a great job with the small details on this truck, making it one of my favorite looking pickups with a distinctive grille, classy body trim and little touches like the Denali logo incorporated into the spray-on bedliner. Another change for GMC’s heavy-duty models is the addition of a gooseneck/fifth-wheel trailer prep package. Instead of having to use aftermarket vendors, you can set up your truck to tow larger trailers straight from the factory. And we’re left with one big question to answer. How much does all this heavy-duty Denali luxury cost? It starts at $55,310 and can climb considerably higher when you add options like the Duramax diesel engine or rear-seat entertainment system. My test truck rang up over $65,000 with the diesel powertrain. It’s one of the most comfortable, luxurious and capable trucks you can buy. It offers monster towing capacity with the Duramax diesel engine.